When mobile phones first became available to the public some sixteen years ago, they were only basic gadgets that could do nothing other than simple talk and text. Nowadays, however, the handsets we own are powerful computers that carry massive amounts of information. This means that in the unfortunate event that your phone is compromised, there is a lot more at stake than just contacts and text messages. Cellphone manufacturers and software developers are working tirelessly to ensure that everything stored in these devices is as secure as possible, but there is no one better to protect your data than yourself. A good lock screen password is your first line of defense against unauthorized access to your smartphone. Although more sophisticated ways of protection are available nowadays, many experts strongly advise against taking this ancient security measure for granted. Your four-digit code, word or pattern will not prevent a street pickpocket from robbing you, but it might discourage someone from keeping it if you accidentally leave it at a restaurant or coffee shop. Moreover, while a determined intruder may eventually get past the lock screen and access your data, a password can give you just the time you need to locate and recover your phone before all is lost. In addition to lock-screen passwords, it is also good practice to create lock codes for individual apps, especially the ones that hold private and valuable information. 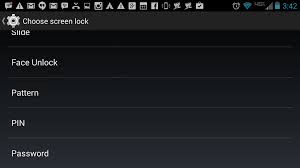 For this, you can use third-party apps like App Lock for Android and Folder Lock for iOS. Many high-end smartphones Features such as fingerprint readers for an additional layer of security found on many high-end smartphones. Locking your apps provides a second layer of security, in case someone manages to bypass your locked smartphone. Passwords are an effective security measure, but in a world where phones are miniature computers, just preventing someone from being able to turn your phone on can only get you so far. Tech savvy intruders can retrieve data from your locked phones within minutes of plugging it into a computer. Thankfully, smartphone platforms have managed to stay ahead of the threats, by offering built-in hardware encryption. 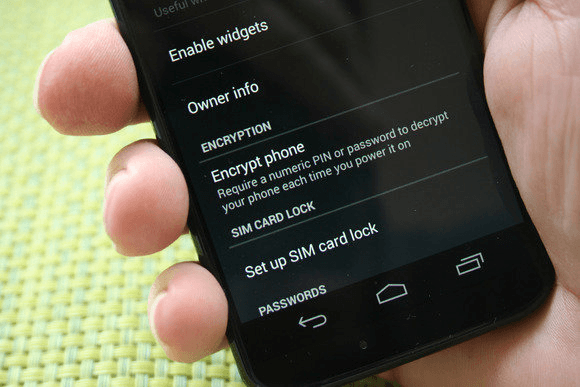 Devices running iOS provide data encryption right out of the box, as long as you create a passcode from the lock screen, but Android users have to encrypt their data from the settings menu manually. Encryption renders the data useless unless a set password is used to unlock your smartphone properly. Many smartphone users connect to Wi-Fi anytime they are near a hotspot zone. However, while such hotspot zones can keep your cellular plan costs down and grant you faster browsing speeds, you cannot know how safe a public network is. Therefore, try to avoid using public Wi-Fi, especially when you want to do something important like logging into financial accounts, accessing emails or managing personal data online. Alternatively, you can employ online security measures such as VPNs and Wi-Fi protector apps to hide your IP address, encrypt your outgoing connection and fend off attackers. It is also good practice to keep your phone’s Wi-Fi connectivity switched off when not in use. This not only saves on battery power but also ensures intruders can’t remotely connect to your device without your knowledge. The same goes for your Bluetooth connection, which although less a risk due to its short range (around 10m) can easily be exploited by malicious persons lurking close by. The number of malware attack cases on popular smartphone platforms has increased rapidly in the recent years despite the common misconception that smartphones can’t get viruses and has led to the insistent need to be careful when downloading apps and browsing the Internet. 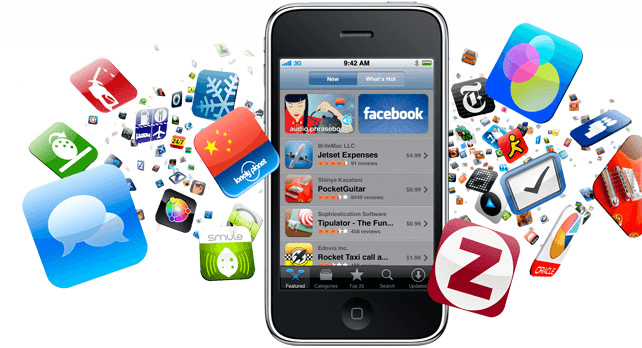 Always download apps from trusted online sources. It is safer to get your content from “official” channels such as Google’s Play Store and Apple’s App Store. Make it a habit of going through the requirements an app demands upon install. Ensure you only give an app permissions that make sense and correspond to what the app does. Read the comment section and take note of the user rating score before downloading a new app. This will help you understand more about it, without trying it out first. Exercise a good deal of alertness when browsing with your phone. Pay attention to any random popups as well as potential security warnings that might appear on the screen when visiting specific websites. Avoid saving passwords and other important account details on service provider sites unless you’re certain they use encrypted protocols to protect this information. Install a security and antivirus app on your device. Apps like Avast and AVG offer reliable online and offline protection from malware and other security flaws. 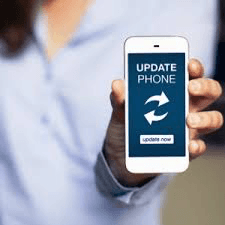 Mobile manufacturers are always releasing new software updates for their phones, and although some simply come with some UI tweaks and bug fixes, others fix critical security vulnerabilities and add new protection features. It is, therefore, important to make sure your phone is running the latest OS version available for it. In addition to the latest software, maintaining an up-to-date backup of your previous data is also highly advisable. Losing a phone to theft, malware or hackers will often necessitate a remote wipe, which will translate to the loss all the information on your device. With a backup, however, you can restore your device back to its original state, or at least re-acquire your lost data. The safety of your phone is not always guaranteed, but the risk does not have to be passed on to your data as well. By following the tips above, you can stay one step ahead of potential threats and ensure the safety of your precious information.